Outside of Apple’s stunning display of corporate courage as it proclaimed the death of the headphone jack—in iPhones, at least—the biggest news to come out of the company’s September showcase was its partnership with Nintendo. 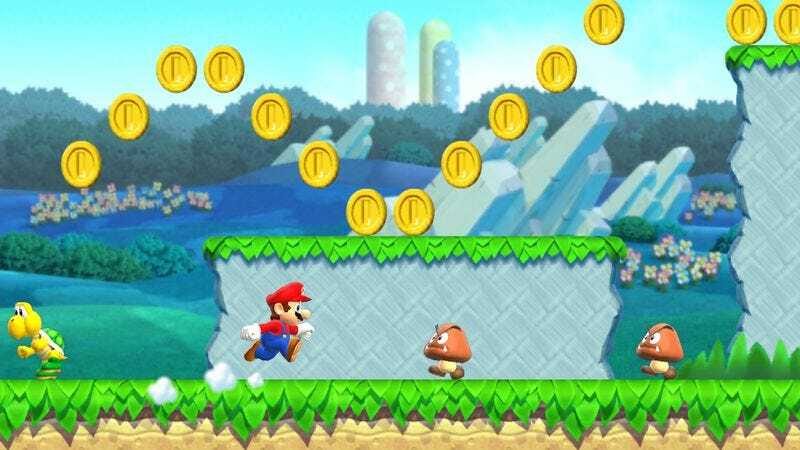 The creator of series like Super Mario Bros. and The Legend Of Zelda, Shigeru Miyamoto, was on hand to announce that the publisher’s first real mobile game, Super Mario Run, would be launching in December for iPhones and iPads. Well, the time has finally come: Super Mario Run is available on the App Store right now. You can download the game for free, but that’ll only give you access to its first three levels. If you want to play beyond that, you’ll need to fork over $10. According to Nintendo, it’s the only in-app purchase you’ll ever have to make in order to play the game, so don’t worry about being nickel-and-dimed for 1-ups. Super Mario Run marks Nintendo’s first real foray into mobile gaming. Earlier this year, it released Miitomo, which was less a game and more an absurd social networking/quiz-taking app. The publisher is expected to launch two more mobile games early next year, one based on the Animal Crossing series of small-town-life simulators and one that’s a more accessible take on the Fire Emblem line of strategy games.